I hope everyone has had peaceful yet super fun holidays. Me and my mom slipped away to the country to visit my sister and her family and it was a blast. It's been a long time since I played hide & seek for a good hour. Funny how you can hide in the same spot and little kids still think you're the best. "Auntie, where are you?" still rings in my head and warms my heart. It was great being away, and the scenery was just gorgeous - some of my photos are at the end of the post. Happily the cats didn't burn the house down and were quite glad to see me to have their food provider back again. As the final hours of 2012 slip away I find myself a little reflective, and maybe you do too. Happily there were more moments I'd love to re-live than those I want buried forever, a sign of a good year in my books. It's always mind boggling how so much can happen in a year and if you would have told me twelve months ago that the right man would finally come along, I would have smiled at you and said sure. If you would have told me my blog would be featured in a National newspaper with a massive photo that I took with my little camera, I would have said you were on crack. If you would have told me I'd go on an all-expenses paid trip to Washington State, I would have laughed so hard I cried. In other words, 2012 has blown me away. All of the grumpy, frustrating days are trumped by the sheer joy I've experienced this year. It never ceases to amaze me how you just never know what is going to happen to you. All I have is this little life and my arms are open, wondering what's next. Hopefully joy will trump again, for you and for me. 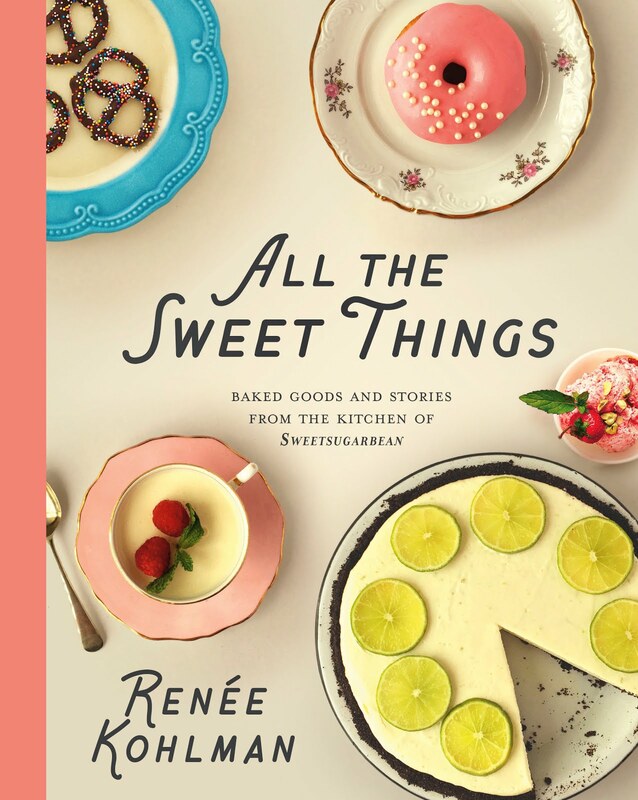 Of course my mind rewinds back upon all of the fabulous food I've eaten in the past twelve months - and the great thing about having a food blog is that most of those incredible dishes are featured here. But then there are the memorable times when others cooked for me. One of my favourite moments of 2012 was sitting in my friend Stacy's sunny and oh-so-humid Windsor backyard, sipping crazy good cocktails and eating grilled flatbreads topped with roasted grapes and ricotta. And then afterwards we jumped in her gorgeous pool. Currently my barbecue is buried under a foot of snow so there will be no grilling in these parts for awhile, but switching up the flatbread for crostini is as simple and delicious. Roasted grapes are quite wonderful - for this recipe I tossed half a bunch or so with olive oil, fresh sprigs of thyme, sea salt, and black pepper. Roasted at high heat until their skins pucker, I then let them cool a bit, then removed them from their stems and tossed them with a bit more olive oil and Vidal Ice Syrup. If you haven't heard of Ice Syrup it's a wonderful product from the Niagara region of Ontario. Frozen grapes are harvested and pressed (while still frozen) and turned into this thick and delicious non-alcoholic syrup. I've been putting it on French toast and pancakes, stirred it into yogurt and smoothies, and I've got a feeling it would be an amazing glaze for roast pork tenderloin. 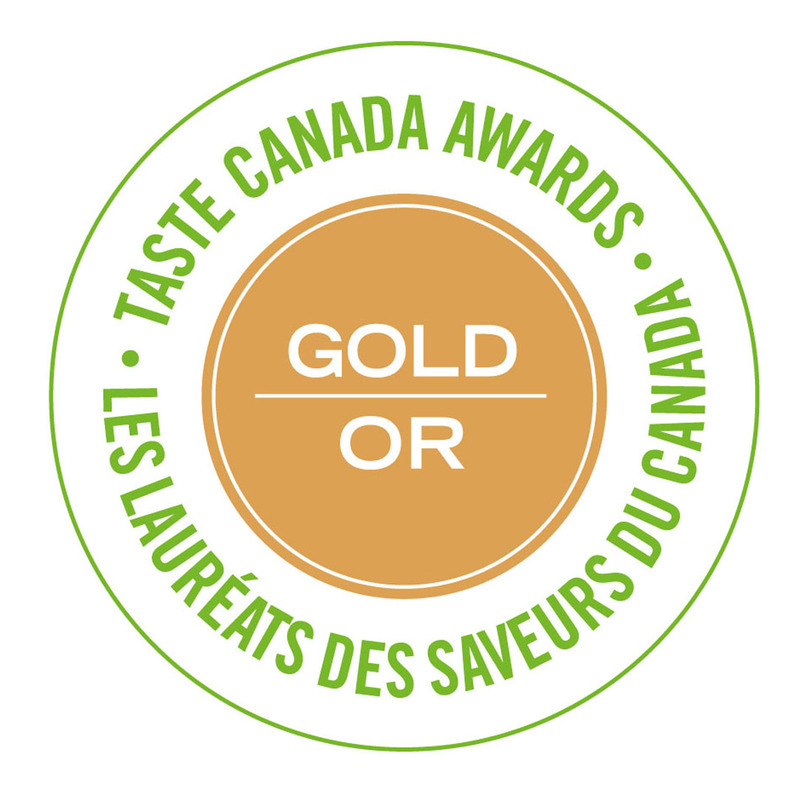 You can order it online, or look for the tall, slender bottle in Loblaws or a Superstore near you or wherever PC Black Label products are sold. The ice syrup has a concentrated grape flavour yet it's not too sweet so it worked really well with my roasted grapes, but if you can't find it, try adding a little honey as a substitute. Disclosure: I was sent a bottle of Vidal Ice Syrup to try out, but the opinions and recipe are my own. As always, I won't write about a product unless I really love it. These crostini would be a good thing to nibble on as you say goodbye (or good riddance) to 2012. 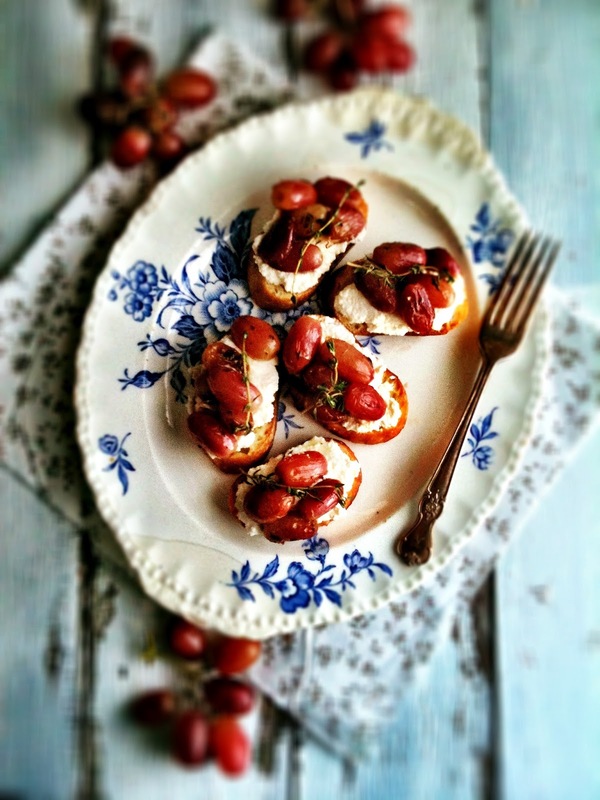 The ricotta is creamy and cool and plays well with the sweet roasted grapes. Use good quality baguette and good olive oil as a base for the grapes and cheese. When working with such few, simple ingredients, it's always a good idea to use the best you can afford/find. 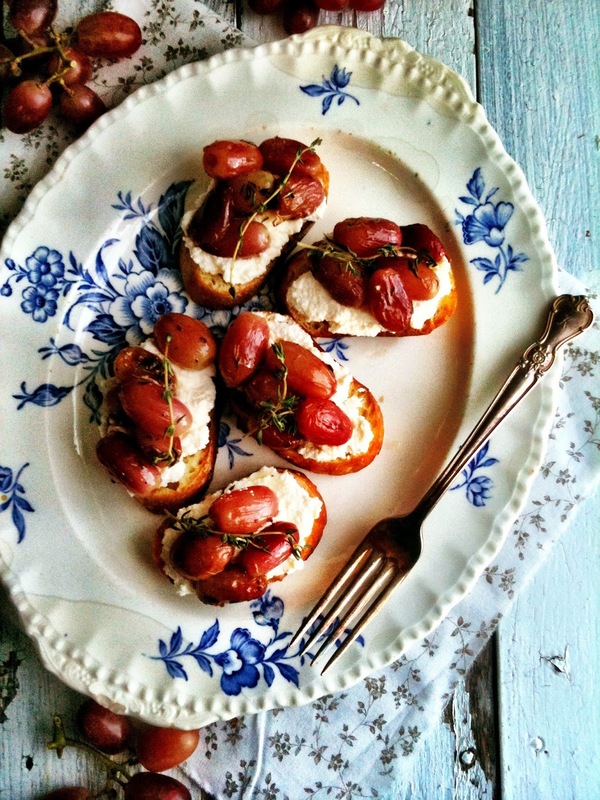 These crostini are best served warm, so while the grapes are roasting, top your toasted baguette with the ricotta. Heap on your seasoned grapes and dig in. 2013 awaits. a bunch of red grapes - you want about 48 grapes total. Keep the grapes as clusters. 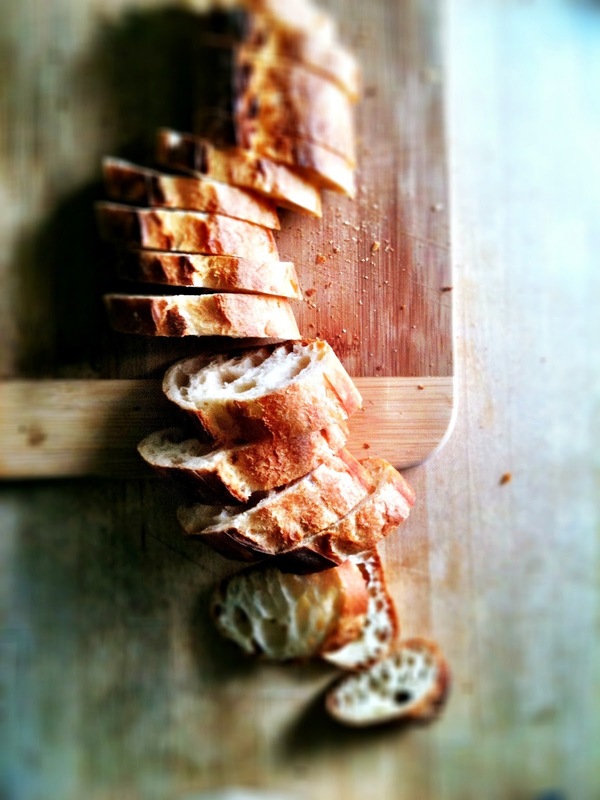 Preheat oven to 350*F. Brush the baguette slices with olive oil and toast on a bake sheet until golden - about 8 minutes. Remove from oven and turn heat up to 450*F.
In a large bowl, toss the grapes with 3 tbsp olive oil, good grindings of pepper and salt and 6 sprigs of thyme. Place on a parchment lined bake sheet and roast until skins pucker - about 8-10 minutes. Meanwhile, spread the ricotta on the cooled baguette slices. When the grapes have puckered, remove them from oven, let them cool until you are able to comfortably handle them but are still quite warm. Remove them from their stems and toss with 2 tbsp olive oil and 2 tbsp Vidal Ice Syrup. See if they need more salt or pepper. 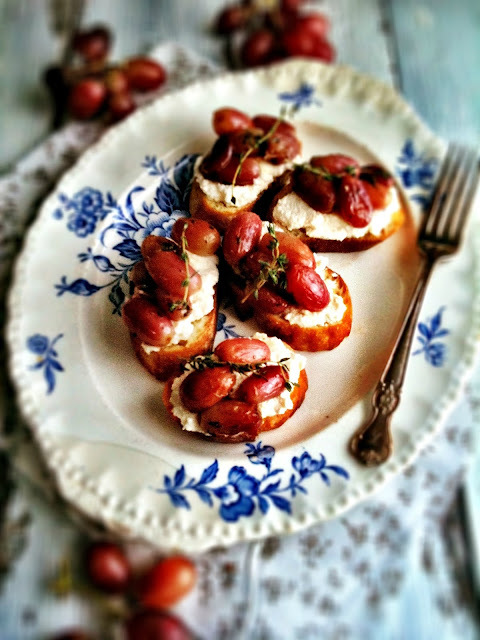 Place 4or 5 roasted grapes on top of the ricotta, garnish with some fresh thyme sprigs and serve immediately. Makes 12 crostini. And now for a few holiday snaps. Most were taken with me holding my phone to the window as my mom was driving along the cold, Saskatchewan highway. Frosty trees and great morning light. The lake's edge, as seen through a living room window. Very little, very old church. Great post Renee - I love your holiday pics. It's so pretty there :) Happy new year to you! I have wanted to try the Vidal syrup. I came across it somewhere and have been smitten. I hope that 2013 brings you untold riches in experiences. Thank you so much Kate - same to you! Renee, my good good friend!!! Happy New Year to you and best wishes for the coming one. I am still loving your blog and each post sort of brings me back to cooking together at the lodge. I haven't given up the idea of coming to visit....just need to postpone for a bit. Love to you and your family! Just gorgeous. Love your photos! Wishing you a Happy, healthy 2013. Happy New Year to you too! I'm so thrilled for your blessings in 2012 and I'm looking forward to following your new adventures in 2013. Needful things - you are too kind. All the best! Shelley - Happy New Year lady. I'm so thrilled for your blessings too. Good things for everybody, everywhere! These photographs are absolutely gorgeous! You're one talented photographer! 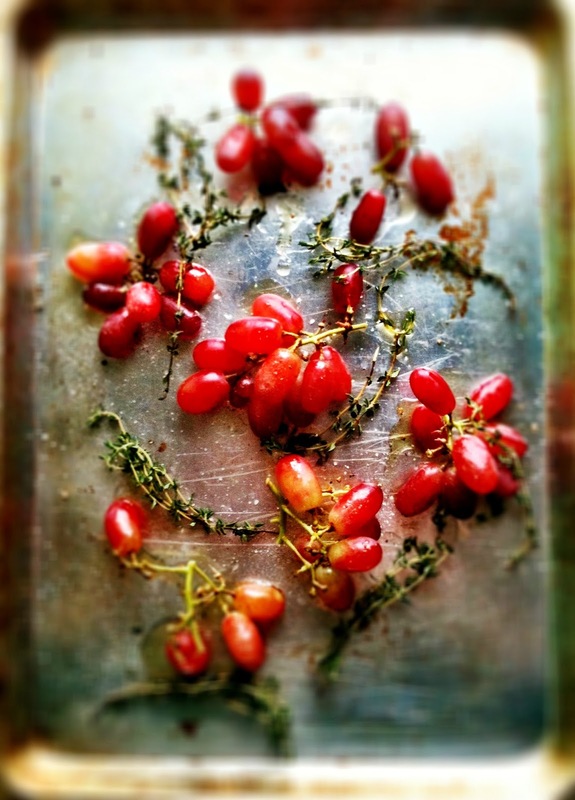 Your roasted grape appetizer looks delicious, too. 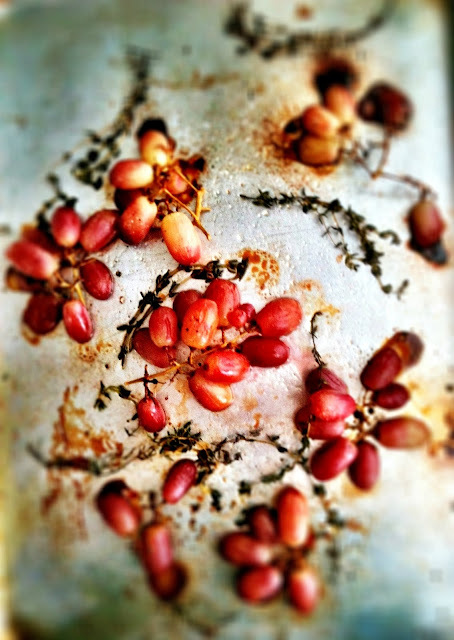 I've never tried roasting grapes and definitely need to try your recipe! Stephanie - 2013 is pretty rocky so far, but it can only get better, right? Enjoy the roasted grapes! Wow these photos are really beautiful. I love your recipe and post! These are amazing, so glad I found your blog. Renee, Happy New Year to you! I have a feeling 2013 will continue to reward all of the beautiful work you do here. I always love to come for a visit, to peek at your stunning photos, and the tempting food you cook for us.